Without wanting to jinx anything, things seem to be heating up. Not as in sunny, but things are warmer and makeup seems to be melting. Written like that, it doesn’t actually sound that appealing, but summer is coming! Probably. 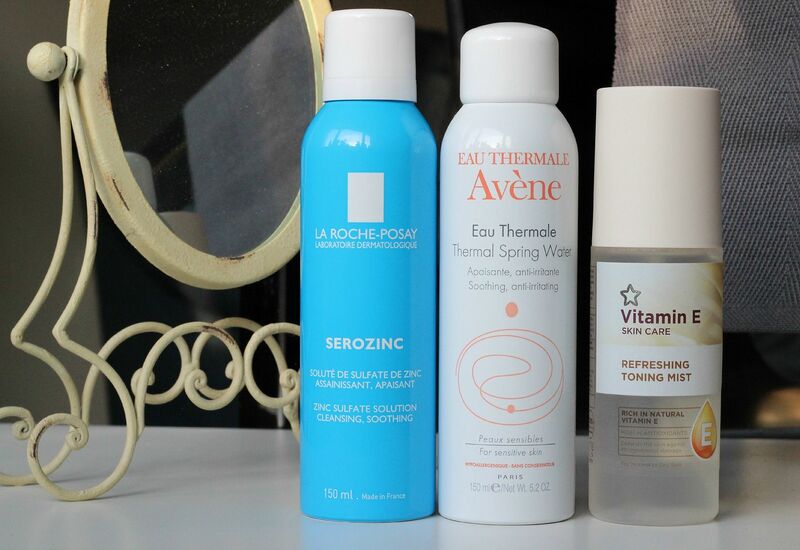 My latest addiction – toners that you can spritz all over and instantly make your face feel so much better, and cooler. La Roche Posay Serozinc – The cult classic! The one you used to have to buy in France but now can get from Escentual. This is one I like to use as a toner in the morning as I feel it really wakes me up and leaves my skin prepped for the day. Also incredible for when your skin is sore, red or burnt! Avene Thermale Spring Water Spray – Not sure this is actually a toner but is actually water… if you want something refreshing, this is the one. It is apparently PH neutral, and helps to coat the skin and leave it protected. It is addictive, and I see myself going through the bottle very quickly. It just feels so cooling on the skin. Ahhh. I’ve also seen Chris sneakily use this when he thinks I’m not looking, so I’m clearly not alone. Superdrug Vitamin E Hydrating Toner mist – this is really cheap and kind of incredible. For a delicious price of £1.99, this toner actually really hydrates and softens. It smells like coconuts, and this is the one I would recommend if your skin is dry and needs a boost. It’s one of the only toners I’ve ever seen that actually makes a difference in terms of skin’s hydration. Buy it now!